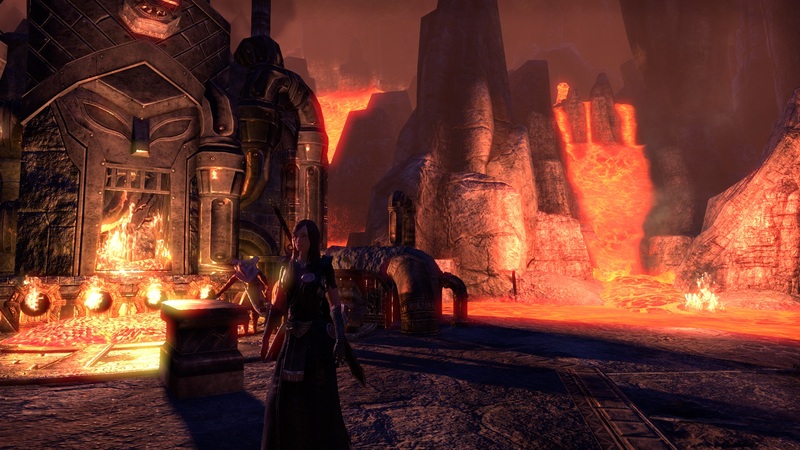 Yesterday i finally had/took the time to wrap up Grahtwood, the level 16-24 area for Aldmeri Dominion in Elder Scrolls Online. Nuria has been in Grahtwood, well, for almost 2 years, i suppose, as it was one of the characters i created back when the game launched. I can’t tell you how many hours of /played it took to finish it, but what i am able to tell you is that it was a memorable experience. I do remember when i first got there. Not in too much detail, but i remember how difficult i found it to be. 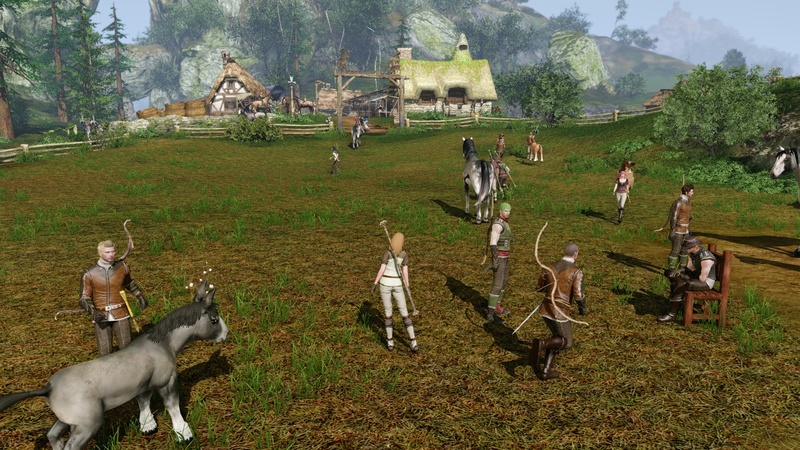 It’s not often that you’ll find standard open-world content difficult in MMORPGs- here, coming to Grahtwood with a fresh level 16 character, it was as much an unwelcoming place as the quest lore made it out to be. It was grim, and i’ve found some quest very confusing- i can’t remember which one, anymore, but somehow, something put me to a stop in the game. I know i loathed the inventory minigame even more back then, because ESO was still asking for a subscription at that time and i felt it was one of those time-wasters designed to make you sub longer. Around that time, i decided to discontinue playing the game. When i returned a couple of times to check the game out again, i did what i always do: create a new character to play because i had forgotten about the old one. 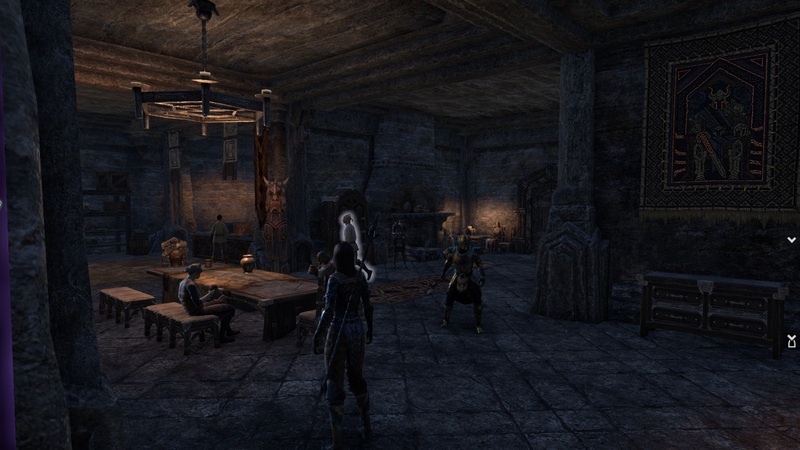 So i didn’t see the Grahtwood anymore, until our guild decided to side with the Aldmeri Dominion and i was looking at either continuing Nuria or create another new character. As i have been playing the game in our premade group up to level 8, i felt i could tackle a level 19 character of the same class- after all, there had been a skill reset in the meantime and i had a general idea on what to do with the character. It wasn’t easy, though. I still had to struggle through getting to know the character and the situation she found herself in. And, after all that time and despite really liking the Daggerfall Covenant zones and quest-related stories, it’s Grahtwood where i fell in love with the game again. And it was a quest. The watcher in the Treehouse, again. Laeloria. I don’t know what it was about this quest- i guess it was all a happy coincidence. First, i saw the building you can see in the background of the screenshot above. I made a mental note to take a look later. While travelling around, at some point i saw a Treehouse and decided to climb it, as i knew it would offer some kind of view. Arriving there, i received the quest- freeing some captured soul from Coldharbour- and the Watcher told me more. How someone already ventured in to free that soul, how she told him to watch the beacon and pay attention if/when it turned to a red light. I was enthralled, because i wondered if it would, indeed, turn red and thereby ending the century-long wait for that Watcher. So now Laeloria was more than a building i wanted to explore at some point- it was encased in the lore of the Watcher and the liberation of not one, but two individuals and finally even in the mystery of the beacon. That’s a normal side-quest, mind you. It’s not even a very uncommon theme here- freeing people from a dangerous place often is the motivation for the player character to venture in, after all. But for some reason, all these elements clicked for me. Better yet, that wasn’t even all there is to Laeloria. Statue of Azura in Laeloria. Azura, a Daedra that’s not even viewed as being as evil as the others, is in this whole scheme, as well. As is a demon, but i didn’t like that one very much. It’s this quest that will me- or my character, at least- have a “special” connection to Azura from then on. Now, i don’t know anything much about the lore of Elder Scrolls games and Elder Scrolls Online in particular- it’s a gap i plan to fill at some point, also because of this quest and Azura. Exploring Laeloria was very satisfying and i wasn’t disappointed, of course. After all that tension building up around this place it did deliver on it, after all. Did the beacon turn red? Well, you’ll have to take a look yourself. The zone has to offer much more and it’s actually quite diverse, even though the theme never changes from being a wood. There are Bosmer villages made of trees and acorns, i guess. There are Altmer villages, ruins and embassies, there are open spaces as well as dark woods/rough terrain. It’s not easy to navigate while still being open enough to not make it an annoyance. There’s a dungeon, of course- Elder Hollows, and it is nice to look at, indeed. 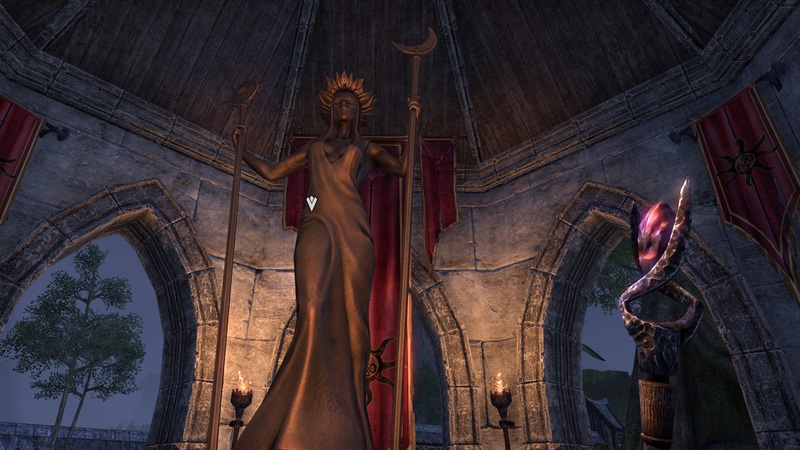 The main storyline in Grahtwood revolves around preventing a revolution in Bosmer ranks and getting Ayrenn to do some kind of ceremony to prove she truly is a fitting leader for the Dominion. There’s a bit of betrayal, drama and magic mystery involved, as well as a funny twist on vegetarism- Bosmer don’t eat plants and you’ll be reminded of that several times – i really liked getting through the questing in Grahtwood. I’ve seen strange places like that “Garden of Flesh” in the Reliquary of Stars and followed gruesome tales of unreturned love. Memorable, i guess, is the right word. In the end, after getting that quest achievement, there were 2 delves, 3 Skyshards and one “eye” left to explore- that’s what i did last night. In retrospective, with a zone as large as the Grahtwood is, the slow leveling in Elder Scrolls Online and all the real-time involved here- even if i were only counting the time since i returned to that character- it truly feels like an epic experience, a journey. So now, i’m off to Greenshade- looking forward to explore that place. I’ll leave you with some shots i took during my travels. Ayrenn, of course, will be just swell. I’ve read an opinion piece about some grind not being a bad thing on Tentonhammer and it made me think: first and foremost, the first example mentioned in the article- Wildstar’s early attunement process for raids – that’s not a grind, and if/when you became attuned, you haven’t accomplished anything- what you did was unlocking a game feature. Locking game features behind “grind” or another lengthy process of doing stuff in game is not a good idea in a genre whose audience gets older fast. See, we might want to raid, and we want to do it as soon as possible- making us play 200 hours before allowing us to do what we deem fun is not good game design. “Being able to access raids” is not an ingame goal- “being ready to tackle raids” might be- and for the last one, it can take a couple of hours. I’ve found that, in general, the pacing of a game is a huge factor in determining my own enjoyment- i need to be able to take it slow and take in the world, or maybe even simply hang out; i need to be able and ramp things up and maybe run a group dungeon and so on. If a game offers one pace only- Wildstar would be one example for that, and Lotro & FF14 might be examples of the slow extreme- it gets boring quickly. Lotro is the one game i refer to as a “quest grinder”- there’s not much else to do than quest. It’s entirely possible that this is just my subjective way of looking at things in Lotro- but i’ve always felt this game is just a very long chain of quests. 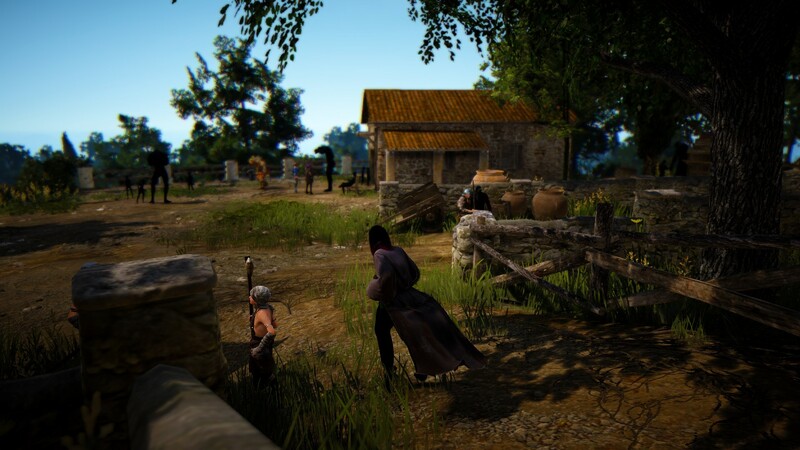 So if Black Desert doesn’t provide (much) quest xp, we know this is not really an issue because you can gain contribution points to spend on houses and the like. Likewise, simply grinding out mobs will give you “knowledge”. So, to me, it seems as if there’s something provided for different paces of gameplay. Without fast travel, i’m pretty sure exploration will also be a big part of the game, and then there’s crafting, trading, fishing and so on- all providing different gameplay mechanics and speeds. MMOs nowadays also have to provide goals to set out for in different dimensions: i need to get something noteworthy done in 30 minutes, 2 hours, a day, a week, a month and if the designers are ambitious, even in a year. So maybe that giant could also take handkerchiefs made out of 2 wolf furs you could reasonably get by killing 20 wolves to raise reputation accordingly. Maybe a boat doesn’t have to be built at once, but by combining 4-5 parts that you can – or have to- create before assembling them to one. Here’s also where the usual mention of sandboxes not being for casuals comes from- what serves some players as a goal for a week, it serves others as a goal for a session. For instance, this week i’d like to finally finish off Grahtwood in Elder Scrolls Online- there are a few Skyshards and Delves left and i want to explore a place that was pointed out on a map i’ve found on a mob. This might take, all in all, one session of maybe 3-4 hours, and i’m sure someone would be able to do it in an hour. When each session gets shorter- maybe i’ll do only one skyshard and one delve in each, this could take even longer. But i can still achieve something in 30 minutes (one delve or one skyshard) and will feel as if i had accomplished something in that session. I really don’t care if it’ll take me a year to construct a boat- if i can work towards it in short sessions, as well. If we’re all doing the same anyway, there’s no need for a game to be an MMO. I don’t really know how good or bad Black Desert does in this regard, but i do hope they had something like this in mind when creating the game, but since i’ve read somewhere that setting things up this way is basically MMORPG creation 101, i’m sure they did. Then again- why do so many games still get it wrong? As a sidenote: i think both of these points are what makes me so happy with ESO right now- disregarding the inventory management minigame that takes away at least 15 minutes of each of my sessions, i can set a pace and goals for each session, hour and week (i don’t have the insight into the game for even longer term goals yet) that fits in my playstyle and current mood. We’ve finished watching The Walking Dead Season 4, finally, and generally speaking, i’m really glad we picked that up again. While Zombies are quite overdone by now, depictions of the Zombie apocalypse are so much more than just that- traditionally, movies and series of this genre say much more about humanity as their post-apocalyptic setting suggests. Here might be Spoilers. 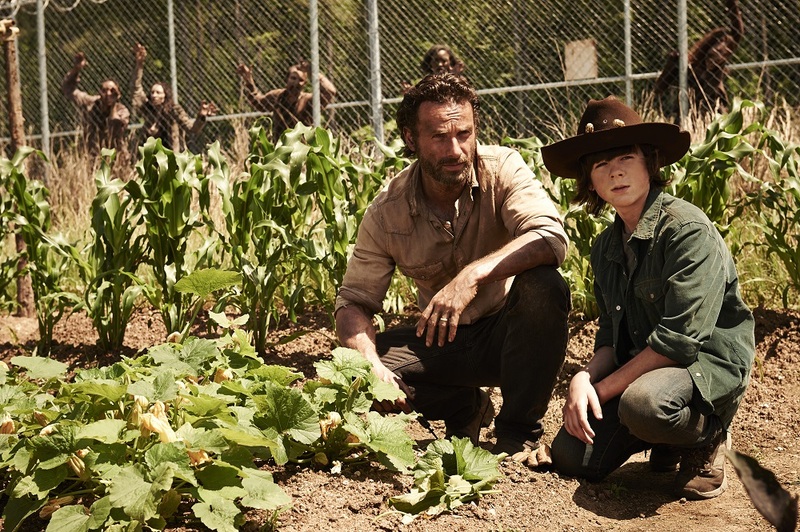 Also PG-rated, as i’m writing about The Walking Dead (no harsh pictures, though). To give some perspective, since this might just be the first post i’m writing about something other than MMORPGs, the Zombie adaption i like the most, The Walking Dead notwithstanding, are the 28 days/weeks later movies and i’m still hoping for the third one to arrive at some point. In terms of tv-series, my all-time-favourite has to be The Wire. With those movies, i like their direction, the soundtrack, the color scheme used in each of them. I like the fact that the Infected, in this case, can starve- they’re not Undead. This allows for developement of the story- from the downfall of civilization up to rebuilding it. The Wire, on the other hand, is a (mind you, i’m european and have never been to the US, so i might be wrong) nice picture of how i imagine the US society to be- it involved looks into different areas of life- from the drugdealing, middle-class up to politicians and press. So i like my tv-series/movies to be entertaining, but not devoid of some kind of depth. That’s not to say i won’t watch movies without conceivable depth, but i won’t rate them very high. The Walking Dead has a lot of potential- here, we can take a look at the downfall of civilization as well as how people cope with it and, maybe, rebuild some of our former glory. Generally speaking, that’s where TWD is failing in my point of view- at least in the first four seasons- there’s no sense of rebuilding. It’s always about finding shelter, meeting other, usually bad, people, shooting each other, losing shelter, finding new. We’re stuck in survival mode- it’s a bit like playing 7 days to die over and over again on different maps. Season 4 is quite the same here, actually- we’ll start in the prison, we meet the Governor (Brian) again, the two groups fight each other, both lose, the prison’s overrun and inhabitable, the survivors of the group go looking for another place. And i don’t believe for a minute that Eugene knows what caused the outbreak and that he’s able to “save the world”- it’s probably just a ploy to get protection. The strong side, in my opinion, are still the characters and the interaction between them. Honestly, it’s mostly about the interactions, as there isn’t really even one character i particularly like with Michonne coming closest. Or it could be the Katana- i like those. And while we usually meet other people just to go to war with them, we can also see the application of different strategies of survival- sometimes idealistic, rebuilding and protecting a village- sometimes practical, as in living in a prison. All characters have been through different hardships in their quests of survival, so you can also see different outcomes in how they are influenced by their own actions and their past losses. So with all that out of the way, we begin Season 4 in the prison, where life seems to be as comfortable as it possibly can be in the Zombie apocalypse. Instead of being fighters, the group is slowly changing over to being farmers and scavengers. I can tell you that by episode 3 or 4, i was very willing to give the prison up- while there was some developement in the prison society, all in all they were still quite the same. I don’t know what i’d expect, but i imagine that a group of people would try and rebuild a “good” society- and sure, farming would be the logical first step in doing this. But Farmer Rick was not convincing. He seemed like someone who was just waiting to pick up a backpack and a gun again and run off into the woods. Later, when the prison is lost, we’ll see that most of the people in there are remembering their time in the prison quite fondly- but there’s almost no hint of happiness and optimism in these early prison episodes. Then comes the flu, several prison-people get sick, die and return. A team drives about 50 miles to get some antibiotics and save the group. It’s when they’ve returned that we’ll see the Governor attacking the prison. There are two episodes telling the story of the Governor from Season 3 and what he was up to in the time before the attack on the prison. He loses his will to fight, regains it when he meets a family, protects that family, takes them with him to find a “better place”, takes leadership of that group they meet and decides to take the prison for this new group and his new family, in particular. He calls himself Brian now; i’m not sure if this was his real name, and he’s changed- at least seemingly. I’d probably know if i had watched Season 3 recently, but the last time we watched TWD was when Season 3 was the newest Season. But my impression was that in Season 3, his motivation for doing things is gaining/retaining power and a certain lifestyle- in Season 4, it’s to protect his new “family”. His behaviour doesn’t change much, though, as he kills a few people and goes to war with the prison-people. The episodes up until this point weren’t groundbreaking, but watchable. The episode showing Brian’s attack on the prison and the resulting chaos/escape is interesting and good. Brian asks Rick’s group to leave the prison until sundown- and he has the upper hand, as he took a tank with him. Rick declines and tries to persuade Brian’s group that there’s no need to fight, they could simply come in and share. Brian, of course, doesn’t like that much, kills Hershel, whom he had abducted earlier, and the shoot-out begins. The tank takes the prison-fences down and there you have it: lots of “Walkers” inside the prison walls. After their escape, the survivors of Rick’s group are divided into a few smaller groups of, well, 2-4 characters we know. They’re back to survival, to finding shelters for one night instead of homes to rebuild. And of course, there’s promise of more: on railroad tracks, they see signs of a sanctuary- “Terminus”. And of course they’ll all decide to go there- i mean, i’d do the same; it’s the promise of other people, security and maybe even other survivors from the earlier group. Well, if something sounds too good to be true, it probably isn’t. And there was something feeling off in Terminus when the groups finally arrived there- it seemed too peaceful, too accepting- it was too easy. Rick then recognizes a watch and some clothes from other members of their former group and pulls his gun. The Season ends when we see the people who arrived at Terminus locked in a train wagon. My first thought when we saw the first people arrive in Terminus was “Cannibals”, and i’m pretty sure that’s the right guess. I mean, it would be kind of funny- “The Walking Dead, now with living people eating people”. I’ve found quite a few episodes to be utterly boring- to be precise, almost all the way from prison to Terminus. Sure, there were highs and lows and i’m still complaining on quite a high level, as The Walking Dead still is character-driven and quite ok in this regard. But story-wise, i wish we’d move on from the survival-shelter-new home-war-loss-theme we’ve had since the series began. As i said, i don’t really know what i’d expect, but it would be something else, story-wise. And we all know, TWD is in its 6th season now, it will soon end, possibly with Season 8 or 9 (US-tv-series rarely make it into the double-digits). It would be nice to see something different than the same struggle for survival until Rick dies. I’d like to see another theme here, a grander vision for human behaviour in this situation. Well, we’ll see where S5 will take us. This week, there were some interesting posts about games in (early) testing- namely Atlas Reactor and Black Desert Online, a discussion about solo play in MMORGs and ingame adventures from The Secret World and Final Fantasy XIV as well as some thoughts about map/zone design. 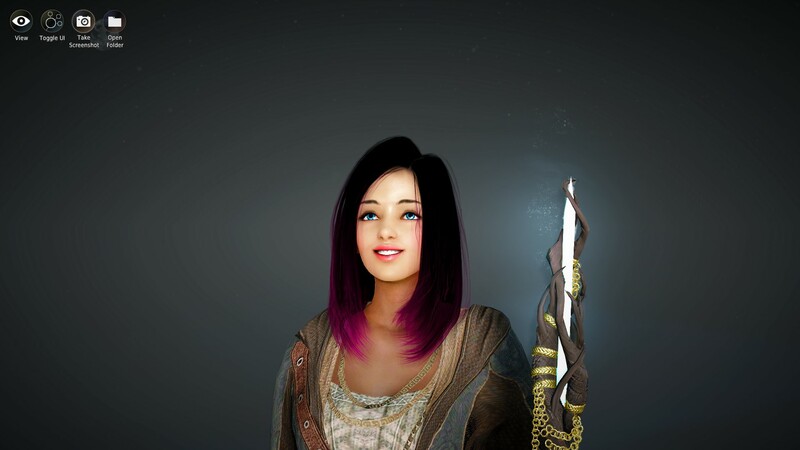 Black Desert Online’s reception seems to remain mostly positive, although i have to say Ironweakness’ impressions were worse than i expected while still being quite positive all things considered, while Syl mostly worries about cash shop prices and PvP but still thinks BDO can deliver in terms of exploration. Atlas Reactor is a game i’m somewhat eyeing: a turn-based multiplayer battle arena sounds like fun! So i was happy to see Nerdy Bookah’s First Impressions review of the game- and it seems they’re quite impressed. While i’m generally quite forgiving and not too bothered by cash shop weirdness, these days i’m not entirely sure Trion has a good plan for earning money with the game. Having no plan – or a bad one- might result in some strange moves on the way to figuring it out. Other than that, though, i’ll probably check it out sooner or later. There are a few topics in MMO-land that surface from time to time- one being the Solo-play-in-MMOs-topic. However, i think it isn’t boring or tiring at all, because perspectives and game design shift all the time- just take a look at the way SWTOR does things now. 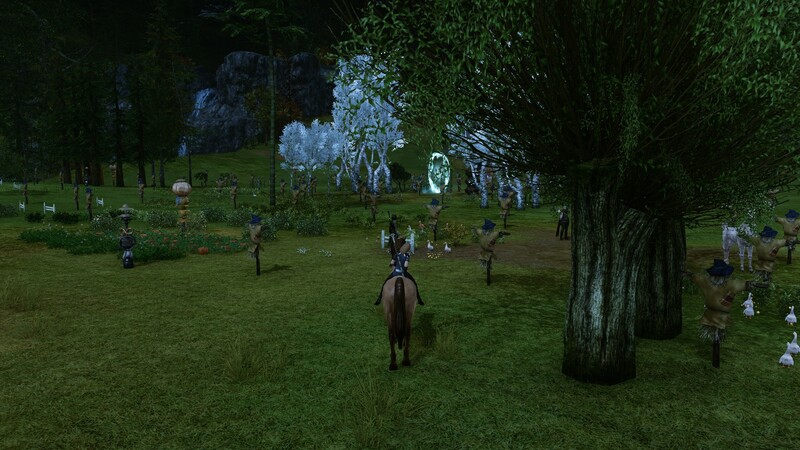 This week, Wolfy wrote about solo dancing after Syl asked why people would play an MMO solo. J3w3l took Ironweakness’ post about zone fatigue and shares her own thoughts on that, stating that she doesn’t feel it as much when maps change themes slowly instead of shifting from one map design to another. Syp brings us another tale from The Secret World, this time revolving around the quest “Wetware” which takes place in Tokyo. Aywren shares her observation that sometimes, healers are killjoys in pick-up-groups. Personally, i’ve had much worse experiences with tanks- and WoW hunters, and healers are probably more sensitive because wipes will ultimately be blamed on them, but i can still see where she’s coming from. Ironweakness takes a look back at the games he played in 2015- this week’s post was about Final Fantasy XIV. We’ve finished Rkindaleft tonight. All in all it was a nice, if not very challenging, experience. But i have to say- i love public dungeons. The whole experience reminded me a lot of public dungeons in Everquest 2, a part of that game i really like. Granted, you won’t get lost in there- its design is too linear for that- but it’s big, it took us about 90 minutes to finish, it’s beautiful, offers an interesting storyline and a few boss fights. Here are a few impressions of the dungeon. publish, publish and publish. I’m not going to import my posts from the old blog- i’ll just leave it as it is and start building up here. Therefore, i’d like to write and publish more to build a solid base of posts. venture into different topics: books, movies, tv-series, maybe even life. This site isn’t just about MMORPGs anymore. I’ll see if i can figure out a way for readers to opt in (or out) of certain topics; maybe by providing categorized feeds. Right now, there’s not much happening on that front- while i’m watching and reading something, i’ll have to wait to write something about it. I still need to “finish” Grahtwood. The Quest Achievement is done, now i’ll go and look for Caves, Skyshards and maybe Bosses. Tonight we’ll be heading to Rkindaleft, one of two open-world shared dungeons in Wrothgar. There are also plans for two additional characters (maybe three): i’d like to try and build a Templar that is mainly DPS, but also somewhat capable of tanking and healing- a true hybrid reminiscient of the gameplay-feeling i had playing a Druid <level 30 in early WoW. This idea was inspired by Xannziee’s post about her favourite character. The other one i’m trying to create is a leech healer, possibly a Nightblade. I’m still trying to figure out the details- do i change things up a bit by laying them in another alliance since grouping between alliances will become easier in Thieves Guild? Or do i go all-in for the Aldmeri Dominion; to be able to enter Cyrodiil at will with my guildies? The third character will be a Dragonknight- i’m still trying to figure out what kind of build i’d like- the only thing i really know is that i want to have one character in each armor type- light, medium, heavy. I guess my Templar “Battle Priest” / “Cleric” will become Heavy, advisable or not- the Leech Healer / Blood Mage will wear Light Armor and the Dragonknight will come in Medium Armor. And why would i want more characters? Mostly because of the crafting, to be honest. I think that 2 or 3 crafting professions per character are a good amount for casual players, to avoid crafting slowing me down even more, but also because i’d like to experiment a bit and see what the other classes can do. In the end, i’ll also want to create a Sorcerer, but deciding for a direction there is even harder. Speaking of Leech Healers- i’ll build one in TSW, too. I think one of my characters has begun to take that direction anyway, and she’s early in the game. I’ve tried it two more times, but i can’t seem to get into my former main anymore- it’s been so long that i feel lost whenever i log her in. But i’d like to play TSW again, mainly as a solo venture, and i’ve found it frustrating to try and find my way with the main. I’ll take a casual approach here, but i do want TSW to become a regular game i play. The CBT2 is underway and i was able to create a character and log into one of the channels and see the very first steps in the game. It’s too early to form an opinion, of course. For now, i was surprised that there are “channels” to choose from- what do i have to do in order to find the friends i’d like to play it with? Do we have to choose one channel or are players able to interact regardless? The best city-builder out there has just released a new expansion- Snowfall. There’s new weather effects in old map types (rain, fog), there are Trams now and there are “winter zones”. All in all, it looks like a good update and i’ll buy in as soon as i get the urge to build a city again. picked up watching The Walking Dead again- i think we haven’t watched since our son was born, so we’re way back in Season 4 right now. I like it so far, but i’ve found some slower episode in the middle of the season quite boring, actually. I’ll write up more about that when we’ve finished the season. watched Mad Max: Fury Road and actually don’t want to waste too much time on it to write a review- i’d rate it 6/10…maybe. I did like the action…somewhat, but it all seemed a bit shallow for my taste. i find much more time listening to stuff. I finished listening to The three-body problem by Liu Cixin – it’s chinese sci-fi where humans find out that another civilization is on its way to conquer earth- but it’ll take them 400 years to get here. I’d give this a general 7/10 and a genre-related 9/10, it was interesting to listen to and i’m very much looking forward to listen to The Dark Forest as soon as i can. Since we’ve founded our fledgling community/guild, i’ve been wondering whether it is possible to build up one of those 10 years plus communities in this day and age. I know there are many great guilds out there, but i do feel the climate has changed and creating a long-lasting guild where bonds between members only grow with time is harder now than it used to be when the MMORPG community had about 3 very different MMORPGs to choose from. Today, not only do we have a billion MMOs to choose from, but the games themselves also allow players to be part of multiple guilds. Players change games more often, and when they try a new game they might seek out another, already established guild in their new game instead of trying to grow the guild they’re in or taking guildmates with them. I’d like our guild and community to grow, in connections as well as numbers and possibly even games later on and i’ve been thinking about ways to reach the goal to be “that guild” at some time- where people would say things like “this weekend a few guildies and i are trying out game xy together”. A longlasting guild can’t be built up in a year, and we all know that. What i’ve seen though, and struggle with myself is that it’s kind of hard to be patient. 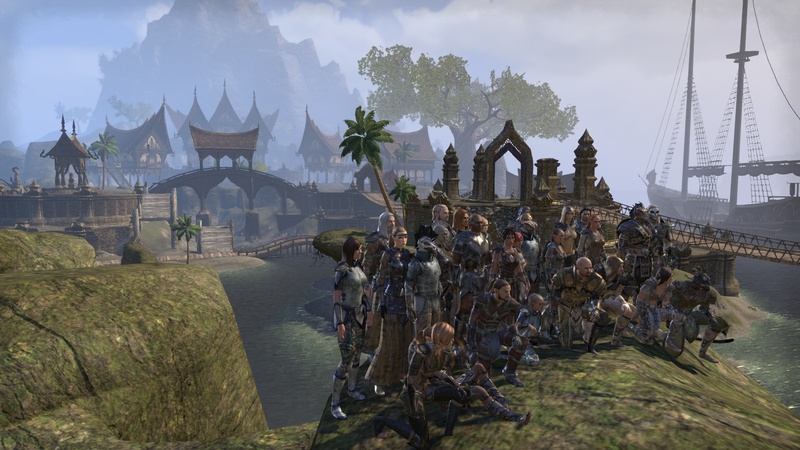 It’s looking hard right now- we’re seven people playing Elder Scrolls Online right now and attracting members is difficult- i feel it’s because of size, related ingame-features- we’re too small to even have a guild bank, after all and the fact that we openly describe ourselves as being casual players who don’t play every day. If you were to join our guild, chances to build a dungeon group spontaneously on the fly while you’re logged in are about zero. If you were to ask in our forums, though, i’d bet you’d get a group of players willing to join you in the next couple of days, depending on the availability of our members. Of course, this isn’t something we’re used to nowadays- and in the end, it’s easier to simply use the group finder to tackle a dungeon. When i played WoW, building a group with the guild was the easier way to go (no lfg tool then), it’s the other way around now and with us. In the end, we all have to be patient- the guild leaders have to be while still trying to offer “more” in terms of trying to grow the community, and the members themselves, because right now, we’re almost more a friends list than a guild where you meet someone everyday. With our 7 players, it’s still entirely possible to log in and be the only player online in the guild. Normally, i’d say that 10 online players in the evenings is a good number. Shortly after release, growing fast isn’t very difficult. It’s very easy to grow in new games – in my experience you’ll reach a critical mass quickly if you recruit for games that aren’t released yet. I’ve seen the foundation of about half a dozen guilds before a game was released- at that time, it’s mostly the guild-type that attracts new players, not the current state of the guild. You can start recruiting for a game soon to be released while having only two people in your roster- if you do it in a timely fashion, you’ll have 20 to 50 members as soon as the game releases. Because nobody cares if you’re only two when there is no game to begin with. In a game like Elder Scrolls Online, it’s harder, because the players want their guild to offer something- a guild bank, players to group with at all times and a guild trader would be nice, as well. There aren’t as many non-guilded or new players, as well, since the game has been out for a while. In addition to the ingame-features, the community has to grow, as well- we’ve changed things up a couple of times, already. If you’re four people who know each other well, there’s no need to have many rules and regulations. I think a good guild needs to adapt- have its vision set, but alter the ways to get there. There’s a bit of trial and error involved here. And lastly, “that guild” you’ve played with for five or ten years has to last that long to become just that. You can’t have this done in a year, per definitionem. All guild advice you can read will tell you how important recruitment is. I’d say it’s depending on what type of guild you want to create. 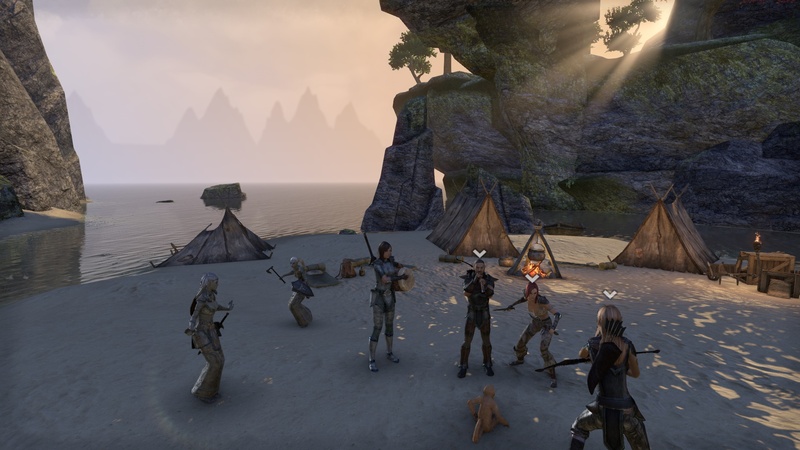 In a game like ESO, building a simple, big social guild doesn’t really require anything outside of the game- you take in who’s interested and weed out inactives and troublemakers. If you want to stay somewhat small and prefer to build up connections with your guildmates, however, recruitment gets difficult, even in small social guilds. Because not being a troublemaker is not enough- the personality of a recruit has to fit into the group, and because this won’t be the case every time, you mustn’t be afraid to decline people. Which is even harder to do in a social guild- “it’s not personal” doesn’t work here, because it is. You can have fun in small numbers, as well. This is why i like Enjin so much right now- because applications aren’t public. We set up a form with a few questions (“What MMOs have you played recently?”, “How much time do you spend in MMOs a week?”, “Do you prefer voice or guild chat?”, “What are your ingame goals?”). The officers can then review an application, ask the applicant some questions and hopefully get answers without anyone knowing what’s going on. For us, we’ll take in everyone who understands what we are and is aware of differences between us and their preferred play-style. For instance, if you’d apply and check “Raids” as an interest, i’d possibly tell you that this is something we’ll probably not do anytime soon, if at all. If you check the box for playing more than 30 hours a week, i’d tell you that this is much more than the rest of us are playing. If the applicant is ok with everything, we’ll try and see if the glove fits. If there’s no reaction three days after i’ve asked some questions, i’ll simply reject the application- mostly without giving an extra reason (i feel that has been given by the questions asked), but sometimes i’ll even go into the official forums and suggest an alternative guild that might be a better fit. So far, it’s 50/50 – i accepted three applications and rejected three, as well. I do that because i’ve seen guilds with a similar vision failing to decline applicants, growing too fast and therefore building no connections between the guild and the respective players. The communities might have 300 members, but that doesn’t mean anything if the forums are used only by 30 and the whole community discourages their leader from creating an ingame guild because it would be inactive after a month anyway (yes, i’ve seen that happening). I think it’s also very important to show stability and perseverance in building the community. OK, so maybe a monthly guild meeting for four players who meet each friday anyway is a waste of time- maybe it will be for seven members, as well. But thinking “i’ll do stuff like this when it matters” sends the wrong signal to the members of the community- it tells them “we’re not real, yet”, so the culture you want to see your guild having needs to be built in from the ground up. Try, and if nobody shows up, try again. Maybe change things up a bit. This is a clear sign that you’re serious and in it for the long haul. I’m also a huge proponent of telling the guildies what the next steps are in growing or strengthening the guild- while i’m almost always somewhat disappointed when asking for feedback (you’ll probably not get any), i think members appreciate it when their leadership shares its plans on following through with the vision. And because we’re lucky in how MMORPGs are designed nowadays, it’s always important to see if you can find something worth doing in terms of ingame-goals for your whole guild. For instance, tomorrow we’ll be going to Rkindaleft, one of two public dungeons in Wrothgar. We might be able to do it, or maybe not, but it’s nice that we can do something worthwhile together despite being in the level range of 11 to VR10, with 7 players. Before i go, though- what’s your opinion on this? Is it easier or harder to form a small guild with strong bonds nowadays? How would you go about it- any tipps to share? Stealth is not something i like a lot when playing games- i usually don’t roll rogue-type characters and even in other genres (FPS), i don’t like the stealthy ones. Since the justice system went live in Elder Scrolls Online, i haven’t stolen anything, mainly because i don’t really understand the risk i’d take and the system behind it in general. Of all zone types, the desert is one of the least interesting environments to me, topped only by “lava” zones. Still, as time moves on, i find myself increasingly excited for the Thieves Guild DLC that’ll come to ESO in march- and here’s why. I love the world design in Elder Scrolls Online. The maps are plausible, the zones offer beautiful sights and it’s interesting to go out and explore in ESO. After seeing the design for Orsinium, where the designers managed to pull off one of the most interesting snow zones i’ve seen in MMORPGs, i’m very confident that they’ll also do the desert zone in a good way- not too void of things and not too full to make it implausible. The environment in ESO is always nice to look at, i’m sure lore fanatics will find many additional things in buildings that are, for instance, regionally different or relate to the race living in that respective area. Orsinium also catches the spirit of entering a zone and go out exploring. Since everything is Level-synched, you can enter Wrothgar and walk off in any direction you’d like. While Hew’s Bane is smaller than Wrothgar, i’m confident it will be a blast to explore. Our guild is small and we span a huge level-range. We have some members in their early teens and some members already in the Veteran Ranks. It’s not very easy to find something in terms of PvE or PvP content we all enjoy that also feels rewarding and challenging for everyone. Right now, there’s mostly Cyrodiil and/or Orsinium. With the Thieves Guild DLC, we’ll have another option. If there’s one critizism i have for ESO at the moment, it would be the combat-focus. Sure, crafting is also very rewarding, but it’s not something you can do exclusively. Maybe fishing is a bit more on the non-combat side, but i haven’t tried that yet, so i can’t tell. Chances are that you’ll encounter mobs on your fishing trip, as well. While i am sure Hew’s Bane will include lots of combat as well, there will be content like the Heists that will revolve around stealth and thievery. This will provide another twist to the PvE-formula that’ll play out differently than what we are used to- maybe a bit more like the sabotage missions from The Secret World. The Thieves Guild will send you out to do something in the old zones, as well. It seems Hew’s Bane, as a map, will be kind of small and limited in scope, but ZOS are reusing the older zones for new content- and i think it’s a great idea. It’s cheaper for them and we get to see all those zones again- they will feel alive and thriving because of the players travelling all through Tamriel. Directly relating to my own feelings regarding The Elder Scrolls Online right now, this will be the first DLC i get to see released as an active player of Elder Scrolls Online. ESO wasn’t on my shortlist of MMORPGs i could see myself getting invested in for the long term, but as it happens, i feel good there. So more content being released is a good sign on the health of the game- especially as it’s not only zones or new content done in the same way as the old one that gets released, but ZOS clearly doesn’t think of ESO as being systems- and feature-complete. It’s still a long way to go, but i’m actually beginning to look forward to being “maxlevel” and seeing a lot of those other systems like Champion Points and such and being able to play the game with even more freedom- although the Q2 DLC will probably take care of some of that, as well.